What is the “Wolf Effect”? Recent animal trapping records show a strong ‘wolf effect’ across North America. But what is the ‘wolf effect’? The results of our wolf-coyote-fox cascade paper are now summarised in The Conversation. The Journal of Animal Ecology has now released my latest paper in the ‘accepted unedited articles section’. Below is a copy of the abstract. Top-down processes, via the direct and indirect effects of interspecific competitive killing (no consumption of the kill) or intraguild predation (consumption of the kill), can potentially influence the spatial distribution of terrestrial predators, but few studies have demonstrated the phenomenon at a continental scale. For example, in North America, grey wolves (Canis lupus) are known to kill coyotes (Canis latrans), and coyotes, in turn, may kill foxes (Vulpes spp. ), but the spatial effects of these competitive interactions at large scales are unknown. Here, we analyse fur return data across eight jurisdictions in North America to test whether the presence or absence of wolves has caused a continent-wide shift in coyote and red fox (Vulpes vulpes) density. Our results support the existence of a continental scale cascade whereby coyotes outnumber red foxes in areas where wolves have been extirpated by humans, whereas red foxes outnumber coyotes in areas where wolves are present. However, for a distance of up to 200 km on the edge of wolf distribution, there is a transition zone where the effects of top-down control are weakened, possibly due to the rapid dispersal and reinvasion capabilities of coyotes into areas where wolves are sporadically distributed or at low densities. Our results have implications for understanding how the restoration of wolf populations across North America could potentially affect co-occurring predators and prey. We conclude that large carnivores may need to occupy large continuous areas to facilitate among-carnivore cascades and that studies of small areas may not be indicative of the effects of top-down mesopredator control. CORVALLIS, Ore. — Scientists have used coyote and red fox fur trapping records across North America to show how the presence of wolves influences the balance of smaller predators further down the food chain. From Alaska and Yukon to Nova Scotia and Maine, the researchers have demonstrated that a “wolf effect” exists, favoring red foxes where wolves are present and coyotes where wolves are absent. This effect requires that enough wolves be present to suppress coyotes over a wide area. 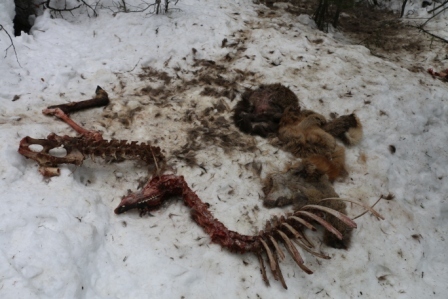 Fur trapping records from Saskatchewan and Manitoba reveal that, where wolves are absent in the southern agricultural regions of each province, coyotes outnumber foxes on average by 3 to 1. However, where wolves are abundant in the north, the balance swings dramatically in favor of foxes on average by 4 to 1 and at an extreme of 500 to 1 at one site. In between is a 200-kilometer (124-mile) transition zone where too few wolves are present to tip the balance between coyotes and foxes. Dingoes are managed as a pest in New South Wales, the country’s most populous state. To reduce dingo predation in the livestock industry, Australia also maintains the world’s longest fence, which runs for 5,500 kilometers (3,400 miles) in an attempt to exclude dingoes from almost a quarter of the continent. In North America, the effect of wolves on coyotes and red foxes provides a natural case study that can be instructive for Australians. “Australians can learn a lot from how wolves are managed in North America, and Americans can learn from the ecological role of the dingo,” Newsome said. In reviewing the fur trapping data from two U.S. and six Canadian jurisdictions, Newsome and Ripple eliminated potential sources of bias such as records from fur farms that raise foxes. The fur prices of coyotes and red foxes are also strongly correlated, and the two species occupy much of the same types of habitat, so they are equally likely to be targeted and caught in hunters’ traps. “This study gives us a whole other avenue to understand the ecological effects of wolves on landscapes and animal communities,” said Ripple. He has studied the influence of carnivores on their prey — such as deer and elk — and on vegetation from aspen trees to willows. He and his colleagues have shown that the removal of top predators can cause dramatic shifts within ecosystems. Newsome received funding from the Australian-American Fulbright Commission and from the government and universities of New South Wales in Australia. The dog fence stretching from south-eastern Queensland to the Eyre Peninsula in South Australia is the world’s longest fence. But sheep producers in central western Queensland are lobbying for it to be lengthened by 1400 kilometres. They’re warning the sheep industry’s very survival is under threat from wild dogs and governments need to step in to save it. Over the last two centuries, widespread predator control resulted in wolves being largely extirpated from the conterminous United States. In more recent decades, wolf population declines have been arrested because of enhanced legal protections, reintroduction programs, and natural recolonisations. From a scientific point of view, the return of wolves to the United States after a 70 year absence has provided unprecedented opportunities to explore how wolves interact with other predators and prey. In particular, the reintroduction of wolves into Yellowstone National Park in 1995-1996 has yielded significant insights into the ecology and behaviour of wolves and how they interact with other species. According to the ecological theory of a “trophic cascade”, wolves should assert strong effects on ecosystems by regulating the abundance and/or activity of their main prey, such as elk. Wolves should also suppress lower order competitors, such as coyotes. If these interactions across different trophic levels result in decreased grazing pressure by elk on plants, as well as decreased predation pressure by coyotes on their preferred prey, then many other species should benefit. The key question then is what has happened in Yellowstone? In a recent paper published by Ripple et al. (2014) the authors illustrate that wolves have directly affected elk and coyote populations in Yellowstone. 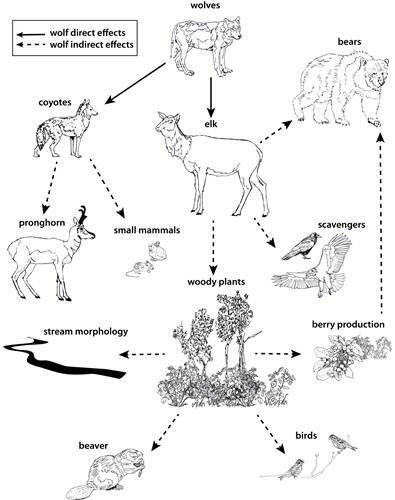 This, in turn, has indirectly benefited pronghorn, small mammals, woody plants, stream morphology, beavers, birds, berry production, scavengers and bears. For example, a reduction in coyote predation has benefited pronghorn and small mammals. Decreased grazing pressure by elk has resulted in the regeneration of trees and shrubs, which has improved stream morphology and provided more suitable habitat for beavers and birds. With an increase in berry production on shrubs, bears have been provided with an improved food source. Many scavengers, such as crows and ravens, have also benefited from an increased availability of wolf-killed carcasses to scavenge on. Taken as a whole, the research in Yellowstone provides support for the theory that top-predators, like wolves, are integral to maintaining healthy ecosystems. But, there is some debate about the exact ways in which wolves influence their main prey and other competitors in Yellowstone. For example, there is a debate about whether wolves influence elk by (a) reducing their abundance (causing a density-mediated trophic cascade) or (b) by changing their behaviour (causing a behaviourally-mediated trophic cascade). Of course, no ecological system is so simple that wolves will either do (a) or (b), and it is likely that the “wolf effect” in Yellowstone varies depending on seasonal conditions, pack structures and the availability of alternate prey. However, it appears that there are also other factors to consider in this debate, such as the impact of harvesting the elk population and drought, which have arguably played a role in influencing elk numbers (which are declining). On top of this, the response of the vegetation to the decline in elk numbers is patchy, leading to variable results between studies. The high profile nature of the debate about the ecological role of wolves in Yellowstone provides for an excellent case study from which to learn. In fact, the debate is very similar to the one in Australia associated with the ecological role of the dingo. Perhaps the key difference is that the research on wolves in the United States is related to the reintroduction of wolves, whereas no reintroduction of the dingo has been trialled in Australia over a large area. Therefore, Australians can learn much from the successes and failures of wolf reintroduction in the United States. This is one of the main aims of my current research and earlier this year I had the opportunity to travel to Yellowstone with researchers from the University of Washington. This was an ideal way to see Yellowstone for the first time, with events organised each day with park staff and other researchers. 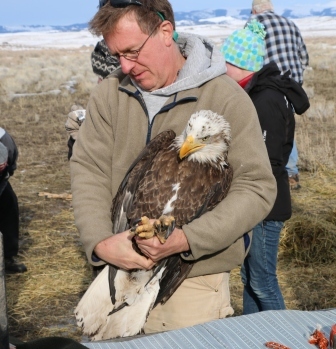 Some highlights included: seeing wolves stalking elk, snow-shoeing into a wolf den site, inspecting a wolf-kill site and learning how to perform autopsies on the carcass, speaking with ranchers who run cattle on the edge of Yellowstone, and capturing and releasing eagles at a nearby location. Importantly though, the trip provided a great overview of how the restoration of wolves in Yellowstone is progressing and the challenges that lie ahead. According to the most recent annual report, there were at least 83 wolves in 10 packs occupying Yellowstone National Park at the end of 2012. This represents a 15% decline in numbers from the previous three years, and a 50% decline since 2007. The decline in wolf numbers is mostly because the elk population has also declined, and elk are the main food for wolves. However, during the first years of the reintroduction program the wolf population expanded from 20 individuals in 1995 to 174 by 2003, a fairly remarkable rate of increase. Indeed, some wolf packs contained as many as 20 individuals in 2003, so it is unsurprising that when food supplies (elk) declined, that wolf numbers, along with pack sizes, have also declined (in 2012 the largest wolf pack had only 11 individuals). Interestingly, intraspecific killing (wolves killing each other) has been one of the biggest causes of wolf mortality. This behaviour is common among canids, particularly during periods of food shortage when there is an advantage to having fewer individuals within a pack. That said, it will be interesting to see how wolves respond to a decline in elk numbers and whether wolf numbers and pack sizes will ever reach those obtained in 2003. Some preliminary data suggests that one response by the wolves to a declining elk herd is to predate more on bison. 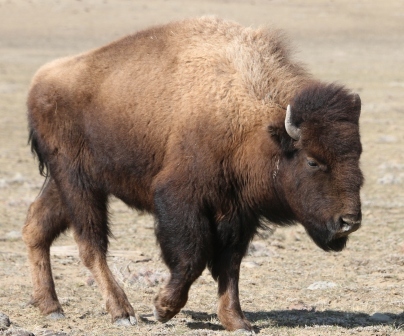 For example, in 2012 13% of kills made by wolves were on bison, whereas in 1995-1996 no bison were killed by wolves. Bison present a formidable opponent to wolves because of their size and strength and the fact that bison tend to stand their ground when being challenged by wolves. Therefore, it will be interesting to see if the number of wolf kills on bison continues to increase and whether wolves adopt new hunting strategies to target bison, while elk numbers are low. In systems elsewhere, such as in Wood Buffalo National Park in Canada, bison comprise over 30% of wolf diet, so there is no underlying reason why bison cannot become a primary source of prey for wolves in Yellowstone. Given that the bison herd has to be actively managed (harvested) in Yellowstone, additional predation pressure by wolves could actually be beneficial. For example, there were certainly areas that appeared to be heavily grazed by bison, and Painter and Ripple (2012) found that plants have been increasing in size, except where intensively browsed by bison. This suggests that bison may be playing an important role in mediating trophic cascades in Yellowstone. With such a high profile debate about whether wolves changed the behaviour of elk and whether this resulted in cascading effects on vegetation, perhaps there is an opportunity now to see if the “wolf effect” extends to other species such as bison. 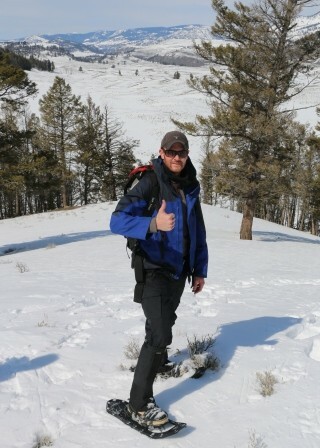 Outside of Yellowstone, there is another related development worthy of mention. In January 2012, the grey wolf was delisted from the Endangered Species Act in the west and upper midwest of the United States where viable populations had been established. 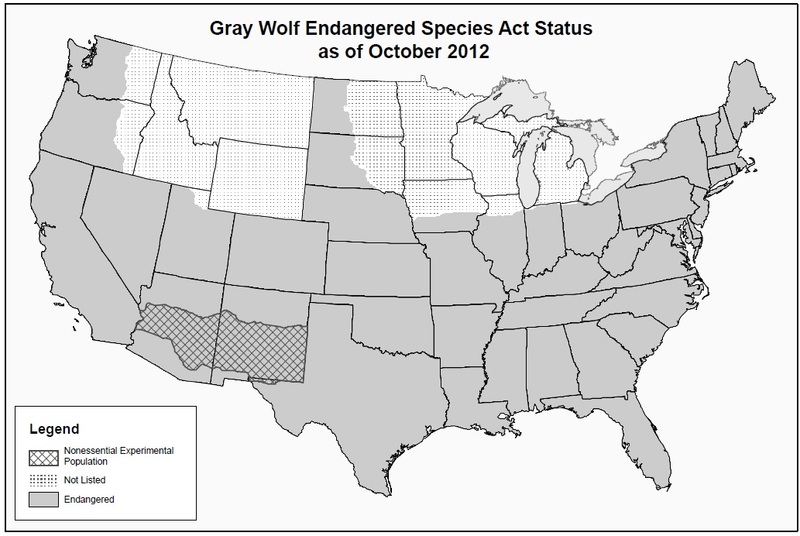 This resulted in legal harvesting (hunting) of wolf populations for the first time in decades (the below map shows the status of grey wolves in the conterminous U.S. as of October 2012). Following this decision, in June 2013, the U.S. Fish and Wildlife Service proposed that grey wolves (excluding the Mexican wolf subspecies) should be delisted from the Endangered Species Act throughout the entire lower 48 States. This was a controversial move because the delisting was based on a definition of endangerment that is inconsistent with legislative history and the historical implementation of the Endangered Species Act (Bruskotter et al. 2013). For example, Bruskotter et al. (2013) point out that the U.S. Fish and Wildlife Service have not met their obligations to conserve grey wolves because these wolves only reoccupied about 15% of their historic range. Indeed, the authors also state that the decision could set a dangerous precedent and have far-reaching implications for the recovery and listing of other endangered species. More recently, an independent review of the delisting also concluded that the proposal is not supported by the best available science. It is yet to be seen if the proposal to delist wolves across the entire lower 48 States will be taken off the table, but perhaps it reflects the political nature of wolf management in the United States and the level of intolerance for wolves by some sectors of the community. That said, it is important to recognise that wolves can impact on human enterprises, particularly the livestock industry, and that much of the areas once utilised by wolves are probably unsuitable now due to human disturbances. But, even in the face of these challenges, the key question here is whether or not the decision to entirely delist wolves is a premature reaction to a highly politicised debate about how to manage wolves in the United States. If the proposal goes ahead, at least the rest of the world can learn from whether or not delisting wolves from the Endangered Species Act is truly a mistake with irreversible consequences.